Click on Map below to view the full map and the Satellite or Hybrid views. 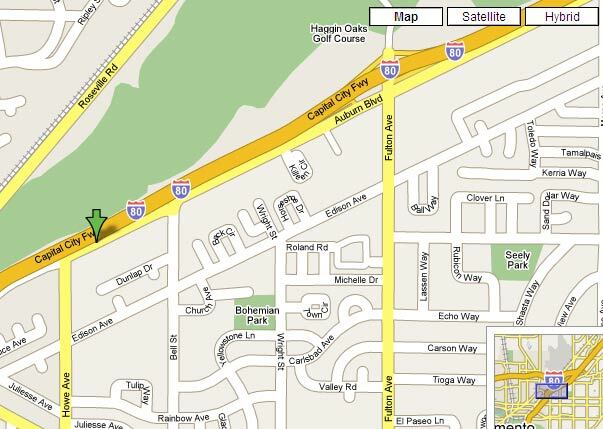 From Highway 50: Take the Howe Avenue exit and proceed North on Howe Avenue till it ends at Auburn Blvd. Turn right on Auburn Blvd. 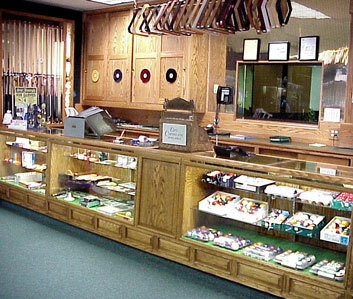 Go about 1/10 mile to 2234 Auburn Blvd. From Interstate 5: Take 80 to Reno. Take the Watt Avenue south exit and turn right on Auburn Blvd., past Fulton, to 2234 Auburn Blvd. From Highway 99: Go North on 99 and follow the signs to Business 80. Take the Howe Avenue exit and go left on Auburn Blvd. to 2234 Auburn Blvd. From Auburn, CA: Take 80 West to San Francisco, and take the Watt Avenue south exit. Turn right on Auburn Blvd., and proceed to the Stop sign. Go about 1/10 mile to 2234 Auburn Blvd. 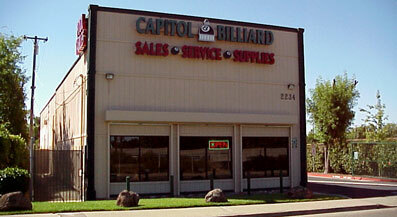 please send us an email at contact@capitolbilliard.com .